REDUCED! This offering in Harbor Towers Yacht & Racquet Club on Siesta Key is a 7th floor PENTHOUSE beauty in turnkey condition w/ GULF VIEWS & BRAND NEW AC UNIT! Impeccably decorated, it is a perfect marriage of contemporary and traditional furnishings, with sophisticated materials, fabrics, and finishes. The master bedroom features a suite of custom designed and hand built furniture in birds-eye maple. The living room features a matching piece to house a television and artwork. The birds-eye maple theme is continued in the eclectic dining table and chairs. The open living/dining area walls are sheathed in a stunning richly colored grass cloth. Fine Persian style rugs dress the main living areas, including the lanai, where breathtaking sunset views are enjoyed daily. Everything that is needed is there including everything from the linens to the vacuum cleaner. This home is the ultimate spot to end a day of relaxing on the pure white sands of Siesta Beach, after a game of tennis on 1 of the 3 perfect clay tennis courts, a swim in the heated pools, or perhaps after a day's sailing and docking in Siesta Key’s most cost effective private marina (priced at only $1/linear foot/month). 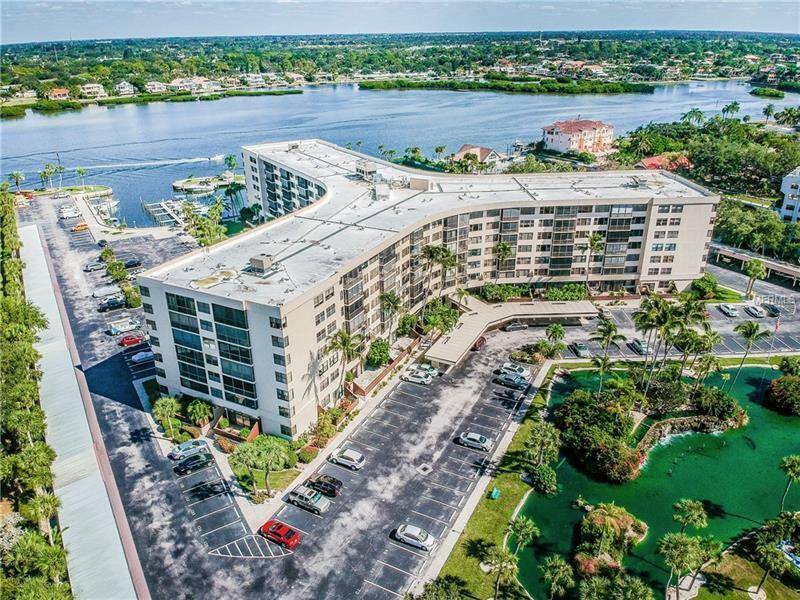 Add in the fishing piers, fitness center, community meeting & event room, bike storage, sauna, kayak storage, barbecue, covered outdoor dining area, and immaculate mature landscaping, and you will find life here is the quintessential Siesta Key experience. Harbor Towers has one of the LOWEST HOA’S ON SIESTA KEY!